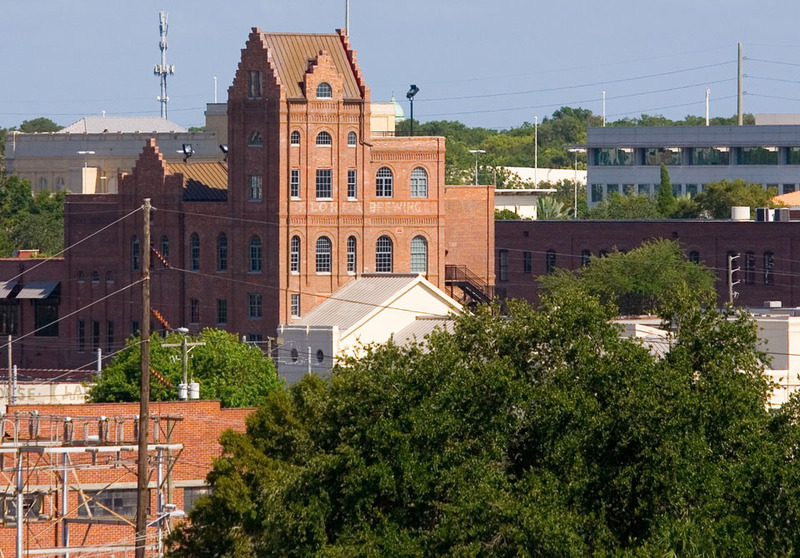 Great Caper Clue #4: While riding the streetcar to your next stop, take a photo of what is still the tallest building in Ybor City. Now a commercial office building, this former brewery was built on a spring thought by Paleo-Indians and Spanish explorers to have healing properties. 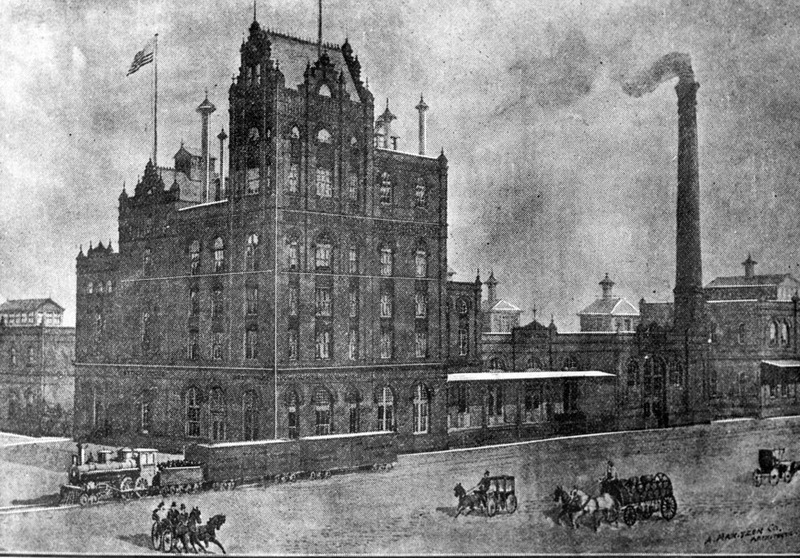 This historic photo was taken around 1900, a few years after the Florida Brewing Company building was built. Notice how much Ybor has changed, especially with the buildings in the background and the trains and horse pulled carriages in the foreground. In order to have the modern photo come close to obtaining the same perspective as the historic photo, I took this photograph from on top of the Crosstown Expressway. Excellent job, Bryan! Where in the world were you to get a shot like this, in a tree? Jet pack? Thanks! I pulled over on the Crosstown one weekend. First, on the upper deck, but that was too high. Next, on the lower westbound shoulder, which looks to be about right. My question is what was the original photographer standing on to get the 1900 photograph. Amazing transition! Great shots in both times, but your modern shot looks like you were flying in the air, great capture and angle.